Our Pro5 Endurance shorts bib shorts offer dependable comfort for your biking this season, and the next. The 15 panel construction, partners the riders body, giving FULL thigh support and ending just above the knee. These shorts to incorporate a 10cm Italian, graphic leg gripper which stays put- without noticeable compression. Constructed from high quality Italian lycra. The 200 gram, 4 way stretch material makes the shorts non-restrictive and durable. The finest lycras, do not take sublimation printing, so only black. 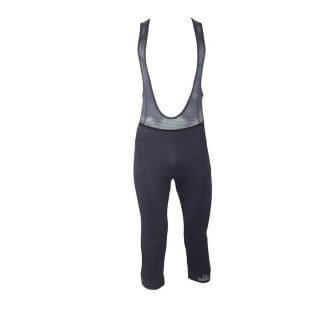 The bibs are ergonomically tailored to fit the cycling position and rock. The supportive bib, uses 2 separate mesh materials for breathability and a broad 50mm at the shoulder for comfort.We employ flat stitching throughout for durability. Our 3D Open cell, memory foam chamois will last for seasons, supporting the pressure points of the pelvis with a penile tract grove to promote smooth blood flow. First ride with them. 7 hours ride and the bibs are really comfortable. The pad is really great. Best bibs at this price, amazing. Fantastic shorts! Super comfortable and look great. In the past I’ve usually ordered medium from other companies, which I did this time, but I had to exchange these shorts for a small. Exchange was super quick too and the fit is now superb. Thank you for such a great service Galibier. Bought these for club trip, glad I did, never a sore day, washed them out every night, and noticed the difference when I could not get them dry and had to wear club shorts, I am a 180.cm woman, 16/14 and L fitted OK though straps a bit tight, but will stretch with wear I am sure. Done a 100+ today wearing pro 5’s for the first time,very very comfortable pair of shorts HIGHLY RECOMMEND. I pondered on buying some new shorts for my Mallorca trip, and all i can say is every time i buy the latest galibier creation they just get better. I’ve suffered with saddle sores but never felt so comfortable ever!! No training and 40 miles in the legs. Then you hit 9000ft and 60 miles and sa Calobra 4+hrs riding , never gave the shorts any attention, there just ace. without doubt the best fitting and the most comfortable bibs ive ever had .I would definitely buy again, plus they look great. Great bib shorts out for the first time today, A brilliant service from alar Galibier. First order went missing and was replaced right away. When received were too tight (my fault) replacements sent out before I had returned mine. Only fault is with my short legs is r=the bottom band flaps a bit but will get used y=to it, Great shorts highly recommended. I bought these in medium to match the red, white and black of my club jersey. Very nice pair of shorts and seem to be excellent quality and I especially like the leg gripper. I bought these at just under 12 stones, 75kg and certainly found them to be quite snug. Once I get some wear in them during the warmer months they may stretch but I also hope to have dropped a few kilos by then. I possibly could have went Large size but would rather the shorts were slightly tight rather than just a little too big. Thanks also goes to Galibier for throwing in a free neck warmer! Bought the Pro5 Endurance shorts in the recent sale. 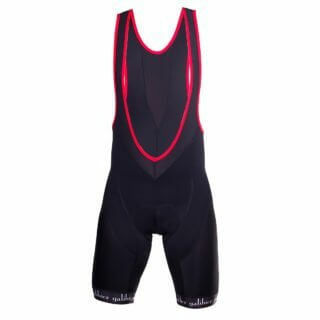 I have n+1 pairs of bib shorts (including 2x Assos S7 T.mille, Castelli Velocissmo, Spokesman, B-twin 700 series etc) and so far these shorts are at least as good as the best of the rest (e.g. the Assos S7s). They even managed to keep me comfortable on dreaded rollers sessions. 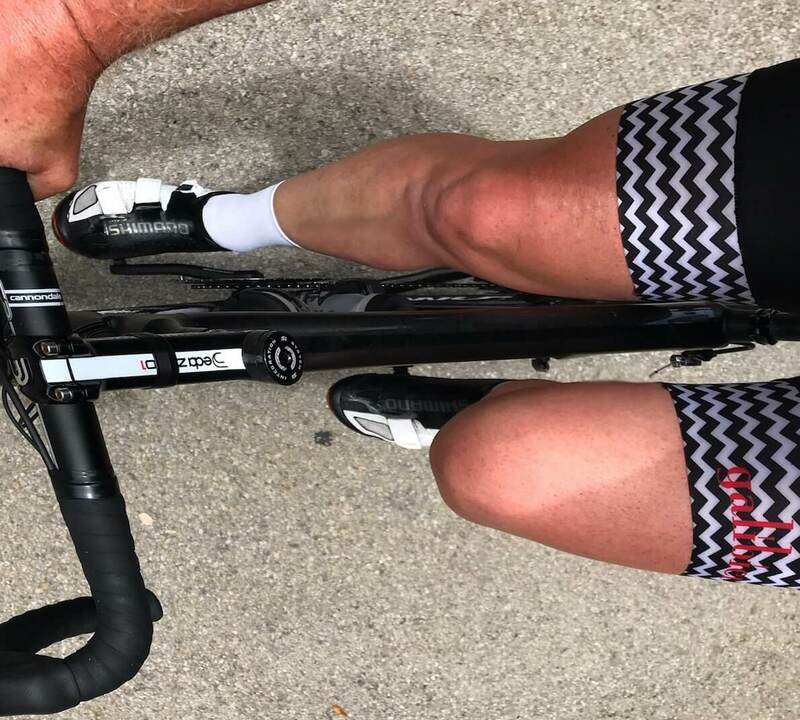 Even though it’s early days, it is fair to say that these are becoming my ‘go to’ bib shorts….I only wish I’d bought more than one pair as there are none left in my size! Iwore these for the first time yesterday and they are already my favourite cycling shorts. Top notch quality gear from Galibier as always and even sent woth a pair of socks you just can’t ask for more. I am 5ft 6 10st and the small is just right. The most comfortable shorts I’ve ever worn. The chamois is super comfortable,the bib design is just the right width on the shoulder and the materials used in the shorts hold then neat to your legs but not tight so as to make them uncomfortable. Designed by riders for riders. I love these, I have been using a pair of older Santini’s for years and these are so much better. Very comfortable and still fasionable. Galibier really knows how to make cycle clothing well, and still amazingly afforable! My new favourite bib shorts. Worn on a 4.5 hour ride and never faultered for a minute. Chamois is top level as always, comfortable materials and subtle design. On my fifth pair of Galibier bib shorts and these are a great update on all previous excellent models. Highly recommended at mid range pricing. Been for two rides in these little beauties and I’ve been really impressed. Massive upgrade on previous bibs, chamois quality is top notch for the price. Didn’t think about being sore in the saddle once. They also look pretty snazzy too! 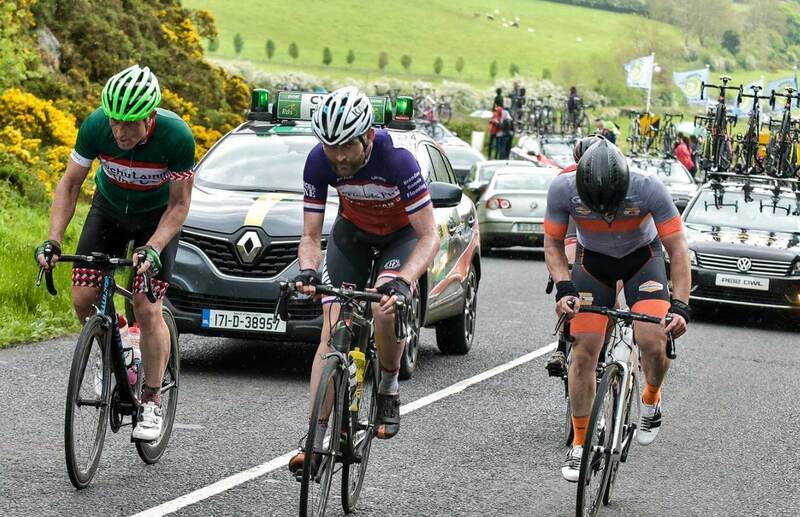 First run out in these bib shorts at the Ring of Kerry sportive. 110 miles. Medium size felt a little tight but on the bike they were perfect….infact they never caused me a thought all day. Just the way it should be. After three hours of hard riding I thought: “wait, wasn’t sitting on some ridiculously hard saddle?” It felt like I was sitting on a velvet cushion. Was between XL en L size, so ordered both; found the L was a great fit for me at 182 cm and 84 Kg. First Galibier product purchased and definitely won’t be my last. E Mail enquirey regarding the fit of the shorts was promptly answered and led me to purchase in size medium. I’m 6’2” 75kg and the medium were a great fit. Long in the leg finishing just above the knee and held in place with excellent grippers in a funky design. The pad feels very comfortable as are the wider shoulder straps. 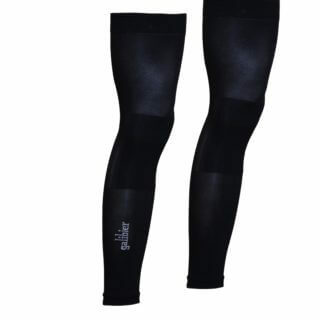 Overall great compression and comfortable fit. Saving them for a Mallorca trip in March. Oh and as a lovely surprise had a neck warmer included in the package. Nice touch! Purchased these as tired of paying big bucks for Italian stuff that never seems to last too long. First day had a short ride but very happy with the fit and feel. Since then they have been my go to bibs. Fortunately Aussie summer weather means I can be pretty sure that they can be washed and dried and ready for action the next day rather than repeat punishment of the memory foam pad. I am 5’11″/180cm and about 75kg/bit less than 12st and Medium is perfect fit. Definitely a quality pair of shorts, not as compressive as my previous classique galibier bibs, but improved comfort… These will suit my longer rides. Great advice before buying and fast delivery. Only used on a long turbo session as yet but this is good test for shorts. They passed! Great price too. I am 30 waist, 68kg and 5’10, ordered medium as per size chart, these pro 5s are lighter weight lucra and looser than classique bib. Could have maybe got away with small but as these will be for 120 mile plus rides I wouldn’t want too much restriction. Just tested on first big ride of 110 miles / 178km. Lighter and less compressive than last Galibier classique shorts. Feel better on big rides, pad feels a bit thinner but stays in place fine. The bib material is much better and definitely up there with my best bibs. Will buy another pair of galibier shorts for sure. Great service as usual, brilliant socks FOC too… Bonus.